I must be dreaming about my fruit trees that I am going to plant. I’m always in the mood for fruit lately. Luckily for me, my husband made a fruit dessert the other night that was fabulous. It was a Blueberry Peach Crisp. I haven’t done a lot with blueberries before, but I really enjoyed them with the bottled peaches from my tree last year. Brian found the recipe on www.userealbutter.com. Place rack in center of oven and preheat to 375°F. Butter a 9-inch square pan (I used my 8-inch pan). For the topping, mix together flour, brown sugar, cinnamon, and 1/8 tsp of salt in a bowl. Work butter into the mixture with fingers until clumpy. Stir in the pecans. 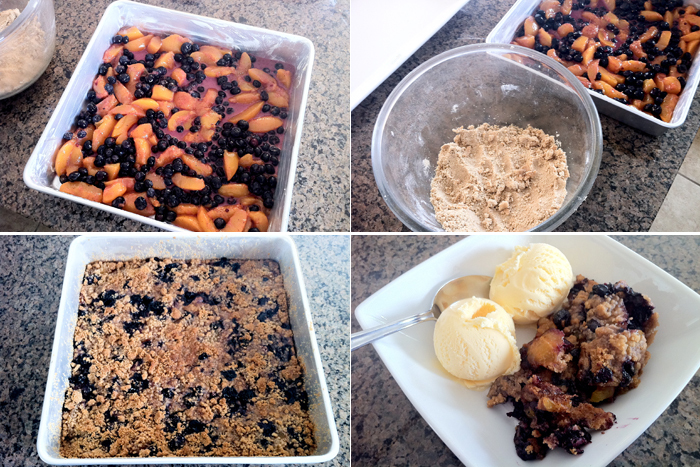 In a large bowl, toss the blueberries, peaches, granulated sugar, cornstarch, 1/8 tsp salt, and nutmeg together. Pour the fruit into the pan and level out. Sprinkle the streusel topping over the fruit. Bake for 45-50 minutes until the center is bubbling and the topping has browned. Serve warm. 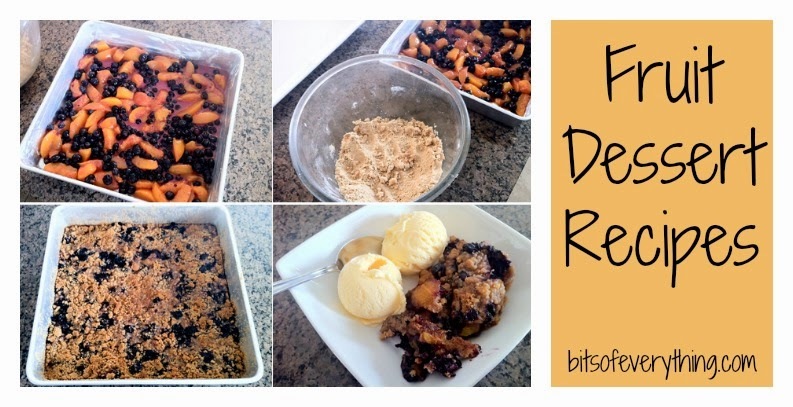 Another one that I really enjoyed a while ago and need to make again is a Crock Pot Apple Crisp. I have to thank my friend Tara R. for sharing it with me. It was super easy! Those sounds good Holly! I wish I had some for breakfast this morning! YUM! Yummy! They look great! I also love when Fruit Season rolls around! Hey thanks for sharing the recipe. It seems to be delicious.